First time Ferrari buyers almost always opt for the classic shade of Rosso Corsa red. And understandably so. 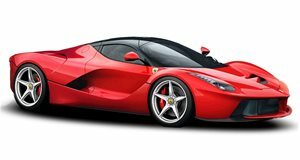 But there are plenty of other hues to choose from, while those with deep enough pockets or enough influence can request that Maranello whips up a color all of their own. Apart from pink. That particular color is strictly forbidden. As a Ferrari Australasia’s CEO put it: It’s a brand rule. No Pink. No Pokemon Ferraris!” Which, we have to say, is a comforting thought. Synonymous with McLarens and the occasional Lamborghini, orange isn’t a color you’d normally associate with the Prancing Horse, but as this exquisite example of a Ferrari Enzo proves, should be used more often. Formerly known as Rosso Dino, Ferrari allowed a single Enzo to be coated in the unique shade and we think it looks spectacular. If you agree and you have a few million dollars squirreled away, then Ferrari of Newport Beach has the car for sale priced at $3.7 million. According to the car’s description, Rosso Dino was a dormant vintage Ferrari color, a non-metallic paint named after Enzo’s son Dino, which the factory agreed to apply to the Enzo. The 2003 example was originally painted in this vibrant shade of Rosso Dino, and its only owner managed to clock just 3,611 miles in the 14 years he’s been driving it. The interior is finished in black leather with carbon-fiber trim, it rides on 19-inch alloys and power comes from the legendary 6.0-liter V12 rated at 660 hp and 485 lb-ft of torque mated to a manual six-speed transmission with steering-wheel mounted shifters. This is an absolute peach of a car and one that deserves to be a part of a loving collection.